A new interactive projection mapping piece called “Piazza Piano” is showing at New Orlean’s light festival Luna Fete this year. 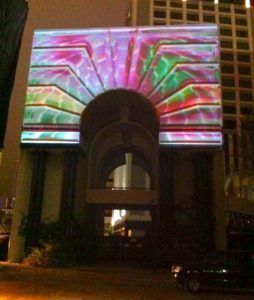 Projected on an arch of the well known architectural structure Piazza d’Italia in downtown New Orleans, Piazza Piano turns the arch into a colorful piano. 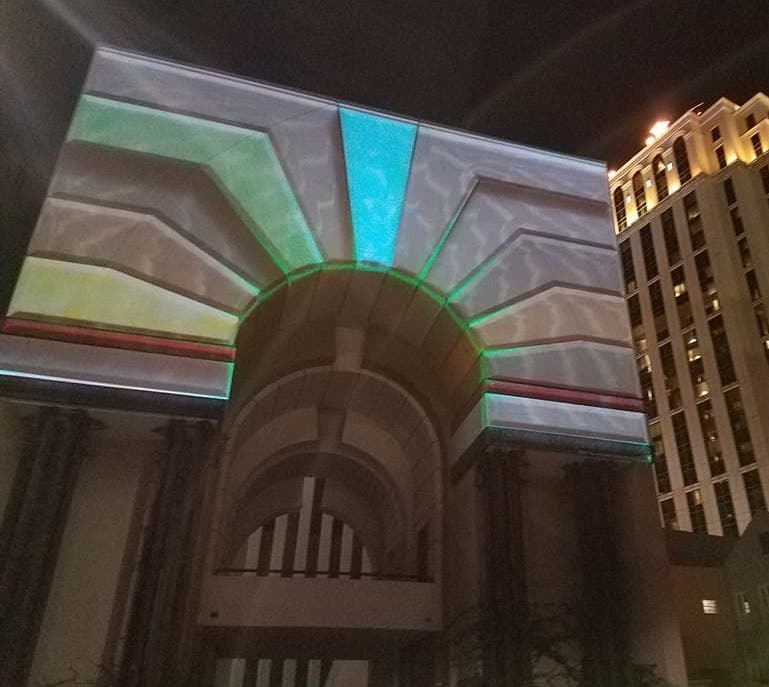 As people move in front of the arch they play the building, creating music and colorful animations across the facade of the building.